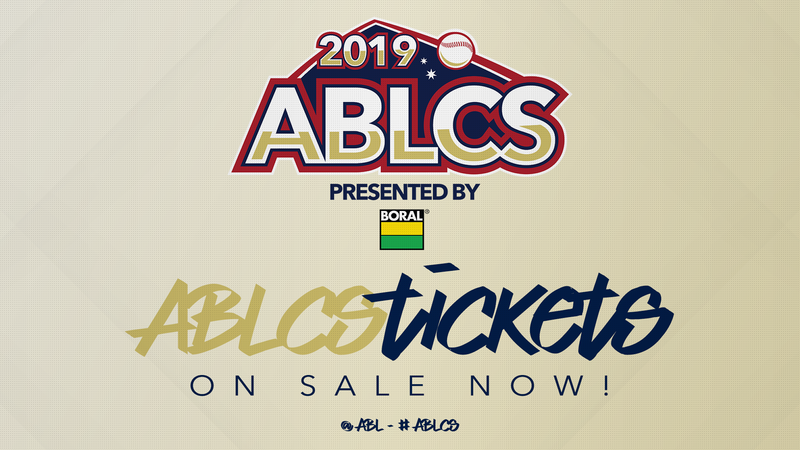 Brisbane is one win away from a fourth-straight Claxton Shield after toppling Perth on the road in game one of the 2019 ABL Championship Series presented by Boral on Thursday night. Wade Dutton's RBI-single in the seventh lifted the Bandits to a 3-2 win over the Heat at Perth Harley-Davidson Ballpark ahead of the best-of-three series shifting to Brisbane on Saturday night. Logan Wade got aboard with his second double of the night against Perth starter John Anderson before Dutton drove in the go-ahead run with two outs. Relievers Loek Van Mil and Ryan Searle combined to throw three scoreless innings and close the door on the Heat. The Bandits opened the scoring in the second inning, capitalising on a pair of doubles and a defensive miscue from MLB experienced Pete Kozma. Logan Wade doubled to start the inning ahead of Wynton Bernard driving him in with a two-out double. Bernard scored to extend Brisbane's advantage following a fielding error from shortstop Kozma. But Perth hit back with runs in the third and fourth. Tim Kennelly scored on a wild pitch to cut the Bandits' lead to one run. Kennelly then pulled Perth level, driving Chris Clare (single) home with a broken bat single in the fourth. Anderson settled well for the Heat after allowing two early runs and retired 13-straight after Kozma's error. Wade's second double of the night in the seventh broke up the streak and Dutton's go-ahead single put an end to Anderson's night. The left-hander allowed two earned runs on five hits with seven strikeouts in in 6 2/3 innings. Brisbane starter Ryan Bollinger worked six innings, giving up one earned run on six hits and two walks with six strikeouts. The best-of-three series continues on Saturday night in Brisbane. First pitch at OneHub Stadium powered by Optus is at 6pm local time.